Anne Butterfield has 40 years’ experience in planning, administration and management of and fundraising for non-profit cultural and educational institutions. Most recently she served at the Director of Institutional Giving at the Peabody Essex Museum (PEM) where she led a team of four to create a robust giving program with foundations, corporations and government agencies while at the same time maintaining a small private consulting practice. Anne and the institutional giving team were successful in raising substantial funds for national and international exhibitions, signature education programs, the library, the collection, facilities and information technology. Since 1987 she has been an independent museum professional, serving as a short- and long-term consultant to more than 60 museums and libraries across the United States and in Bermuda, Great Britain, Israel, Senegal, and the Republic of China. She works with new museums just being formed as well as with established museums planning or engaged in major change. Clients range from small and medium-sized history, science, art and children’s museums to large national institutions such as the Smithsonian Institution and the Field Museum of Natural History. More than 50% of her clients call on her for additional assignments. She has also provided training and short-term consulting to more than 60 museum directors in Poland. From 1976 to 1980 she was a member of the group responsible for the Boston Children's Museum's move to new headquarters. During the 1980s, she added such responsibilities as the management of all fundraising, membership, computer center, and public relations departments as well as working with five committees of the board. 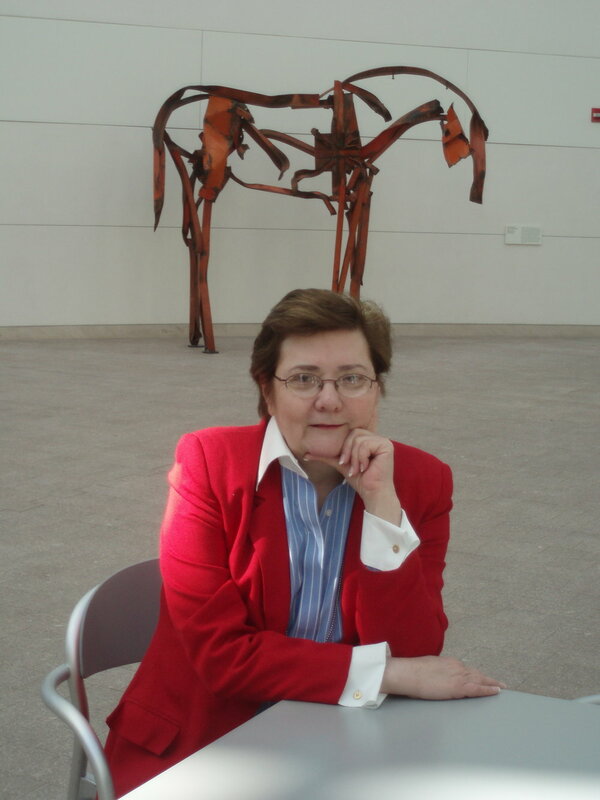 Anne has held a variety of national and regional offices in professional associations, has taught seminars on museum moving, planning and fundraising, presented papers, and served on panels for national and regional conferences, and as a reviewer/panelist for federal and state funding agencies. Anne Butterfield has completed the Museum Management Institute program (now the Getty Leadership Institute), and holds a bachelor's degree in English literature. She was a founding member and past president of The Museum Group (TMG), an association of former museum executives now serving as independent practitioners providing consultative services to the field. TMG members frequently collaborate on projects to bring their combined experience in different disciplines to the clients’ needs. Principal, Anne Butterfield Company, Harvard, Massachusetts. Providing consultative services in planning, management, development and governance to museums, libraries and other cultural organizations. Director of Institutional Giving, Peabody Essex Museum, Salem, Massachusetts. Led a team of four development professionals focused on corporate, foundation and government grants and sponsorships. Worked across all departments to secure funding for exhibitions, programs, library, collection, operating, endowment, and capital needs. Developed new sources of funding and re-engaged long-dormant donors including local, national and international sources. The institutional giving team achieved a success rate of nearly triple the national norm. With Institutional Giving team, re-organized the corporate partnership program and increased participation by 64%. Developed a national and regional exhibition sponsorship program. Director, Development & Public Affairs, The Children's Museum, Boston. As one of four senior managers reporting to director, led a division of 15 employees, responsible for all fundraising, membership, public relations programs, including capital projects in United States and Japan, annual appeal and direct mail, and program funding. Supported or managed 5 board committees: Executive, Nominating, Development, Long Range Planning, and Financial Planning. Director of Development, The Children's Museum, Boston. Program Associate for Development, The Children's Museum, Boston. Public Information Officer, Department of Health and Rehabilitative Services, Office of the Secretary, Tallahassee, Florida. Bachelor of Arts in English Literature, 1969. Graduate work in communication theory, 1973. Excellence and Equity Program Training, 1995. THE MUSEUM GROUP, an association of independent museum professionals. President, 2000.